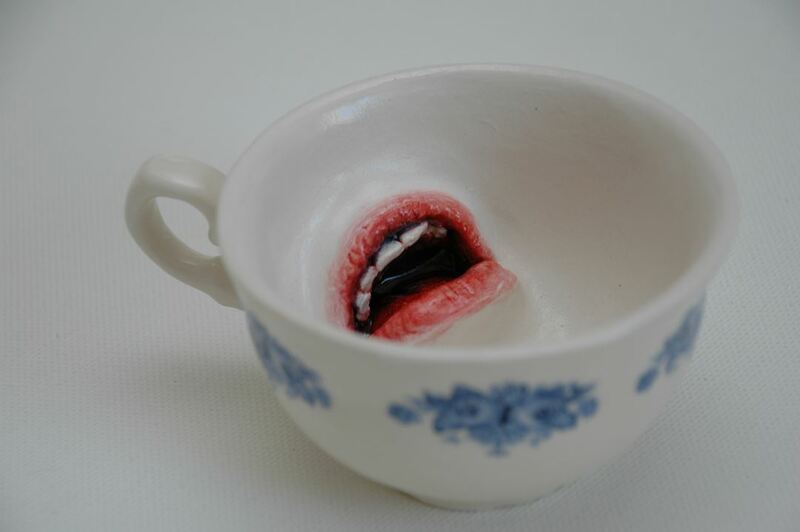 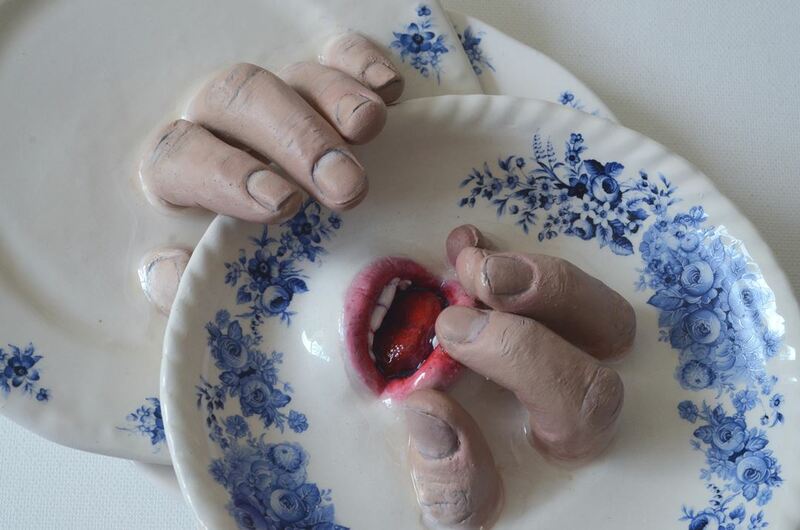 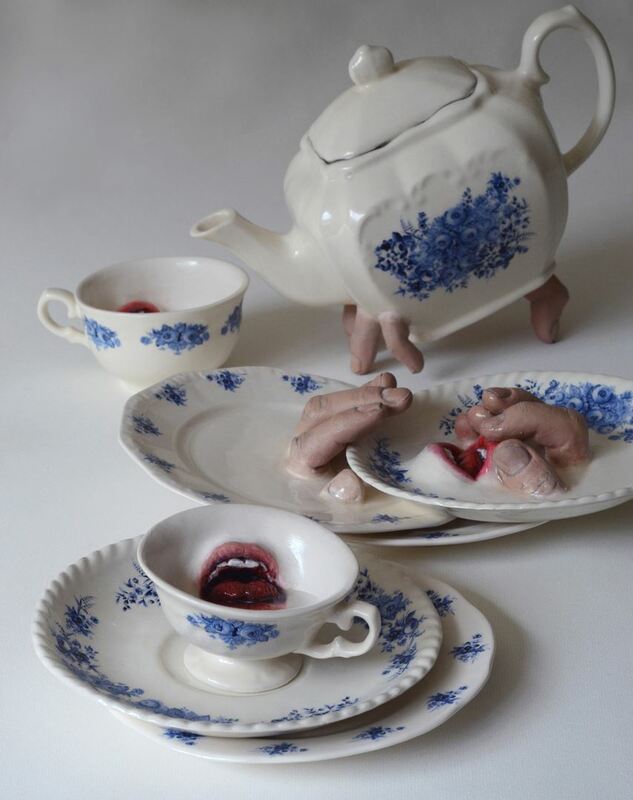 In her series of work Israeli artist Ronit sculpted human mouths and fingers emerging from tableware. 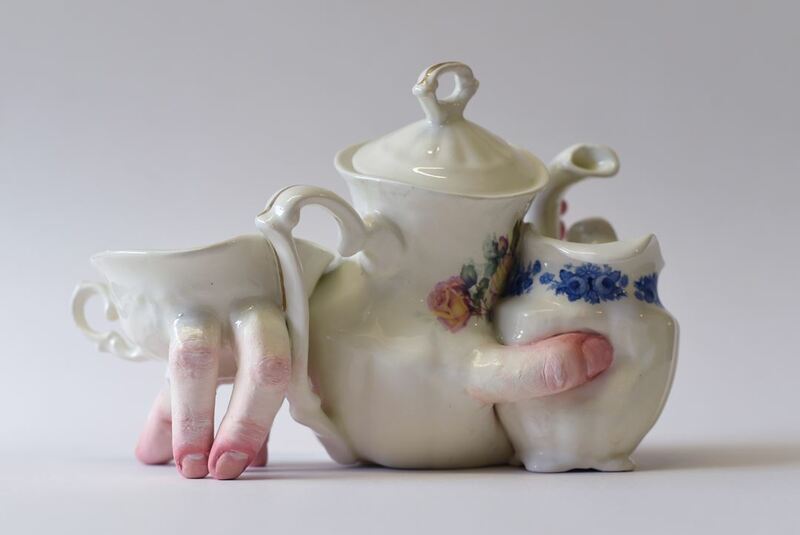 The blurred border between the living and the still in these works is intriguing. 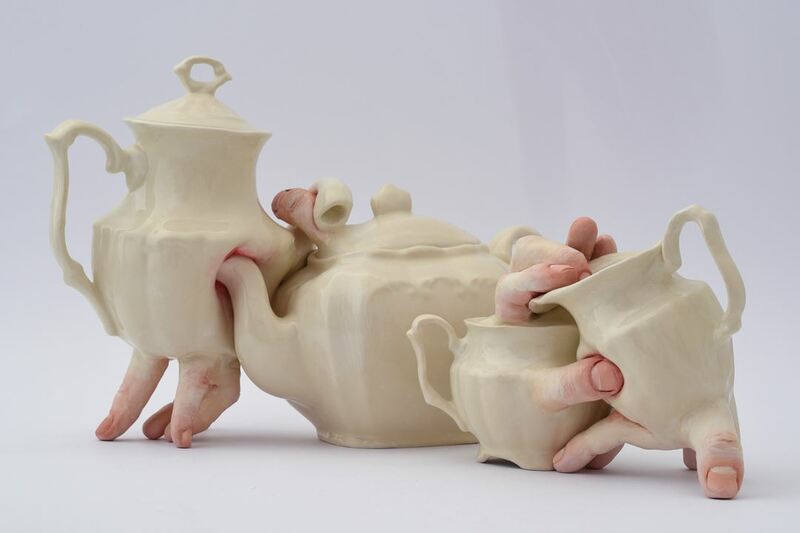 In this series, the relationship between the “doubtfully alive” vessels becomes physical. 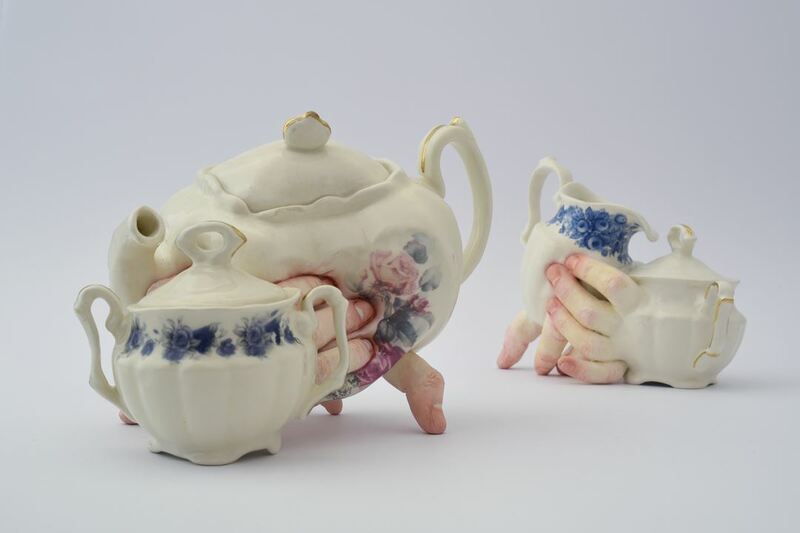 They lean on each other, pinching, hugging, embracing and their porcelain bodies react. 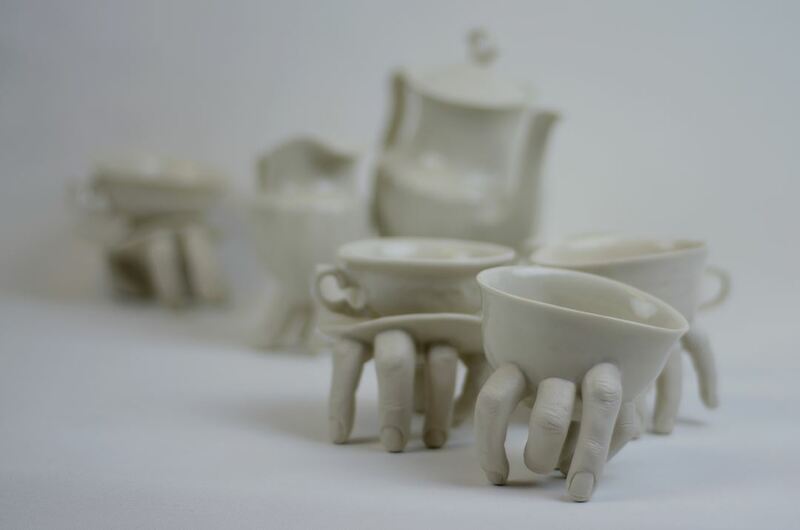 New Taipei City Yingge Ceramics Museum Collection.